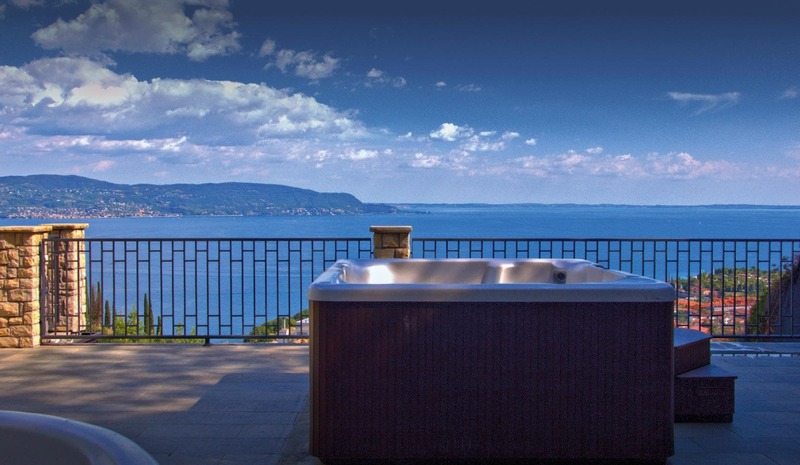 In an enviable position above the lake, it enjoys the most beautiful view of the entire Western Garda Riviera, while the distance from the lake is only 1.5 Km. 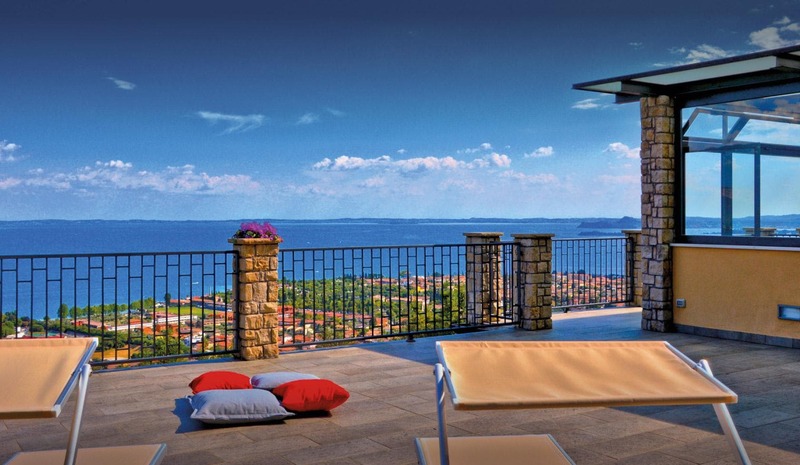 Before you are the towns of Torri, Garda, Lazise, Peschiera, Sirmione and Desenzano. The “House in the Rock”, a highly evocative nickname of Residence Virgilio, is an anti-seismic construction, built in Class A, with particular regard to eco sustainability both for energy and water saving: solar panels, condensing boilers, heated floor, air conditioning with latest-generation inverter systems. Only 4 three-room apartments larger than the area’s norm (over 100 m2) are available, all equipped with every comfort; dark curtains and overhangs to ensure privacy and quiet sleep, free Wi-Fi, well-equipped kitchens. The whole structure is entirely accessible to those with disabilities; there is a total lack of steps or slopes, elevator with control panel, large access doors to the rooms. 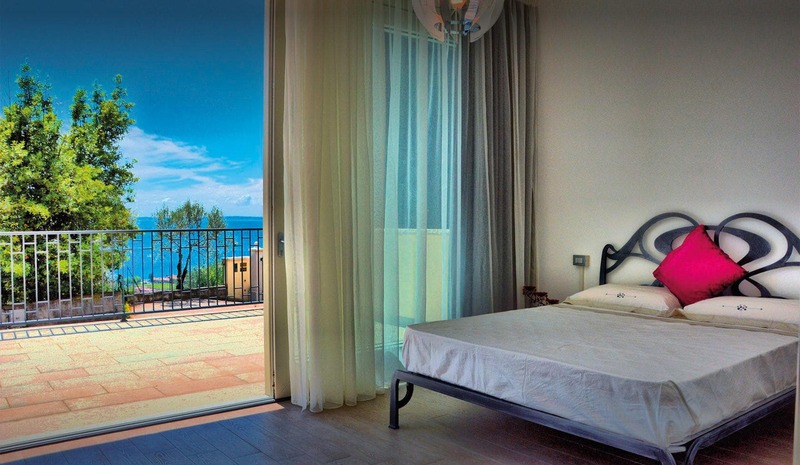 Even families with children will find the Virgilio Residence particularly suitable for them. We are particularly proud of the wide range of quality services we provide to our guests, and we are always available to meet your needs: all you have to do is ask. a me piace guardarlo con il cuore! Ciao, sono Cristina ho 52 anni e vivo sul Lago di Garda con mia figlia Francesca di 13 anni. pronta a soddisfare ogni vostra richiesta di informazione. 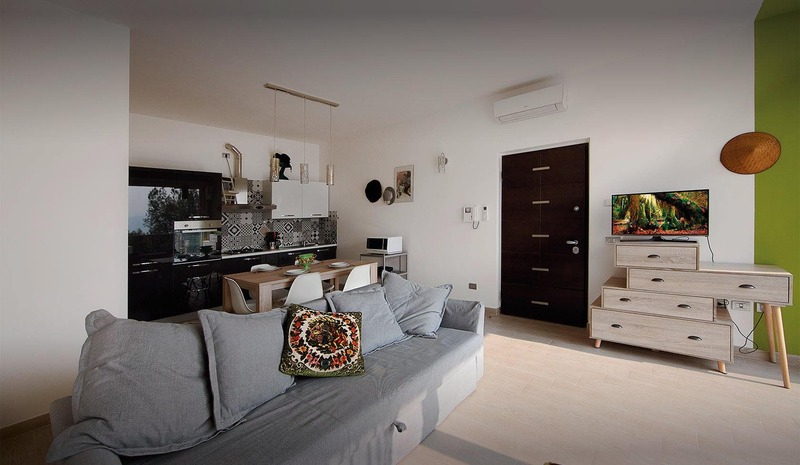 APPARTAMENTO DA URLO! 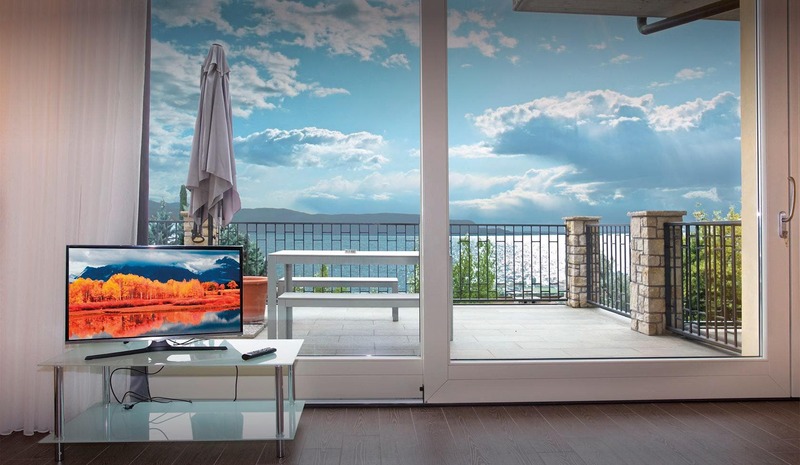 Dal nostro appartamento la vista era a dir poco favolosa! Tutto era nuovo e super accessoriato, non mancava assolutamente nulla e abbiamo davvero apprezzato le bottiglie di vino che la proprietaria ci ha fatto trovare al nostro arrivo.